Beaten rice flakes ("Poha" in Hindi, "Aval" in Tamil, "Avalakki" in Kannada, "Bajil" in Tulu) is a very popular ingredient used in breakfast recipes throughout India. 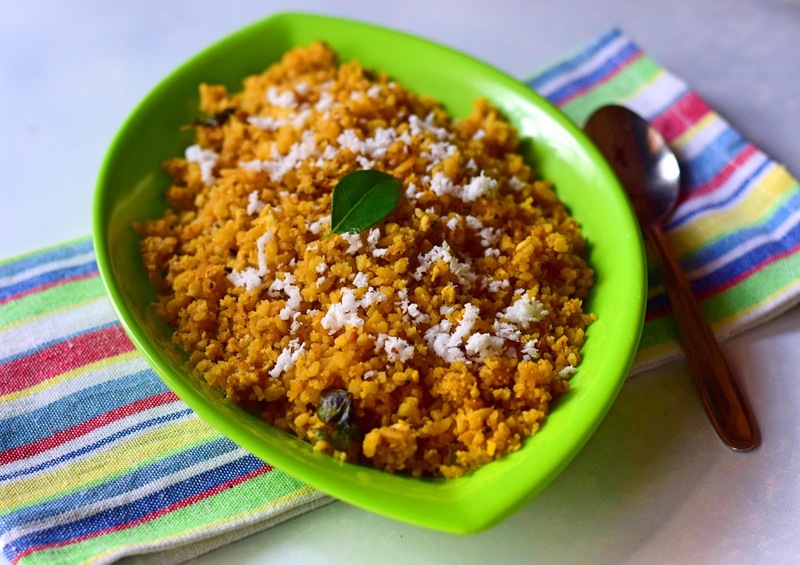 Poha is rich in iron and easily digestible. Poha made from red rice is better than the white one. You have to use the slightly thicker variety for this recipe. 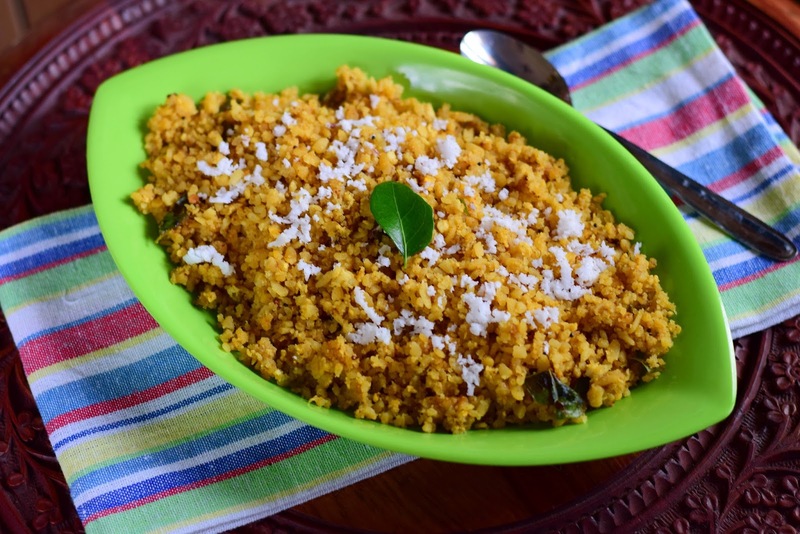 This recipe called Huli Avalakki /Gojjavalakki/Puli Bajil is a popular breakfast dish in Udupi district. It is very easy to make and kids will also love this. Soak poha in water for 15 to 20 minutes. Drain water and squeeze excess water from the poha. Soak the tamarind in water and make a paste. It should give you around ¼ cup of tamarind extract. Heat oil, add mustard seeds and split urad dal. 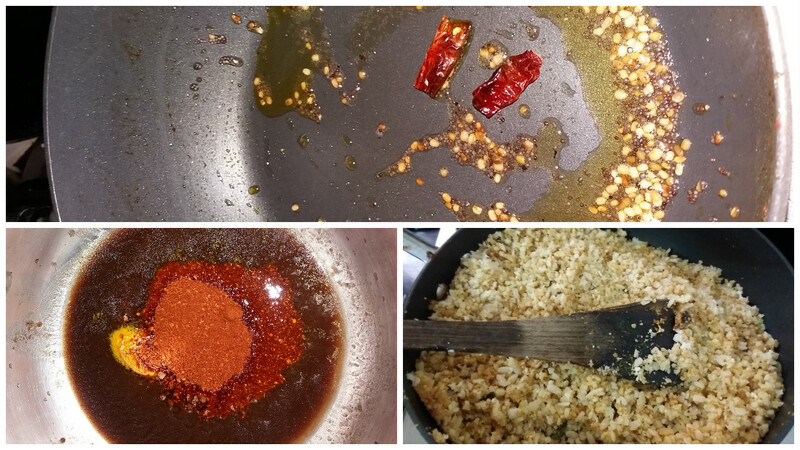 When it starts crackling, add tamarind extract, jaggery, rasam powder and salt. Once this starts boiling, add the poha and mix thoroughly. Check the taste and add more jaggery or salt as per your preference. Garnish with coconut and serve.